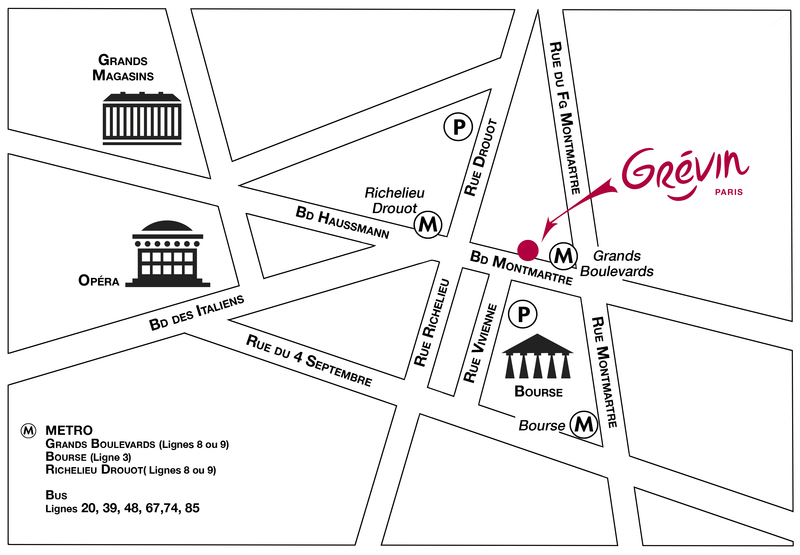 A key site in Paris, the Musée Grévin has preserved the essence of its origins. Go back in time and stroll around this monument with Belle Époque-style architecture. A unique way to discover culture, heritage and French history. Meet the figures and celebrities which have made a lasting impression on France. Did you know that it takes over 6 months’ work and more than 15 artists (sculptor, prosthetist, painter and hairdresser among others) to make one figure? Visit the special discovery workshop to find out about our production techniques and secrets. Grévin Paris organises year-round events, creating very different moods including monsters at Halloween, flashing cameras for film stars and the enchanted world of Christmas. See the museum in a new light every time you visit!